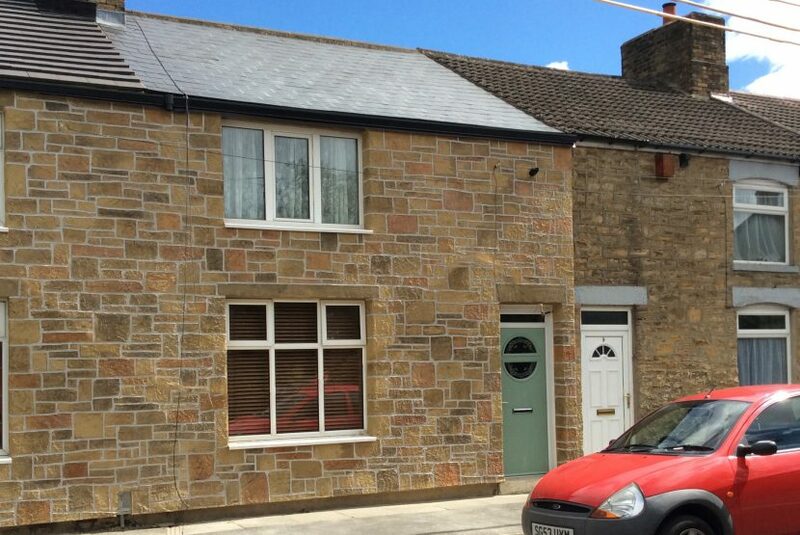 The first Stone property on a £2.4m contract in Durham. 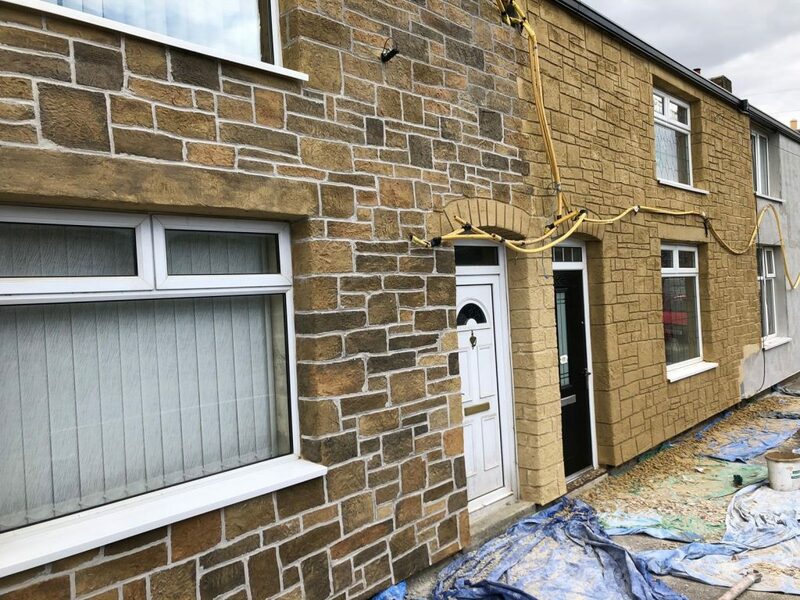 A unique cost effective alternative to both brick/stone effect render and slips, has recently been used on the first ‘stone’ property on a £2.4m contract in Durham. The accompanying illustrations emphasise what an eye-catching difference Artbrick has made. The building on the left (below) has just been completed, while the building on the right is still awaiting the final stages of ‘finish on a finish’ colour application necessary to complete the stunningly realistic transformation. It is a prime example of how Artbrick is flexible enough to be used even on such planning-senstitive buildings as these – and at the right cost. Artbrick can be used to copy any brick and most stones; it doesn’t suffer from the problems that plain brick effect renders have – and what is more costs nowhere near as much as brick slips. Now Artbrick Stone has been used at scale for the first time in a scheme purely of private housing, insulation and Artbrick, funded by Durham County Council and the EU.